Day 1: Arrive Athens On arrival in Athens you will be met and transferred to your hotel. 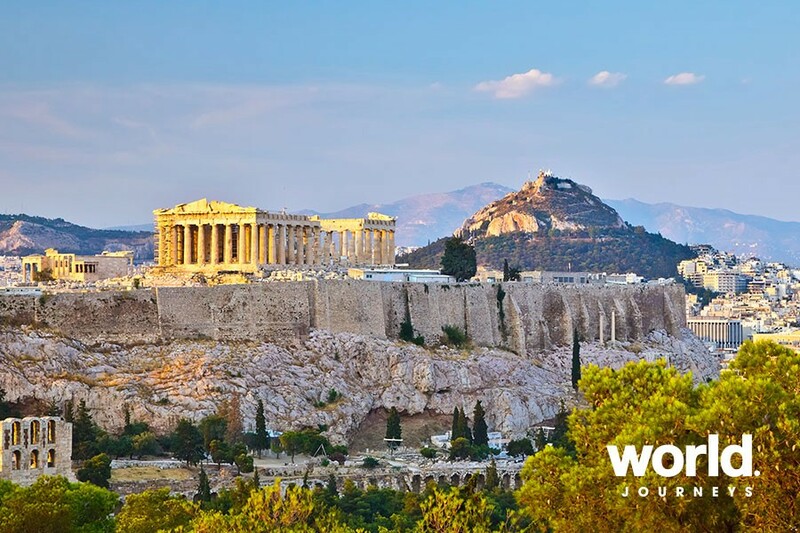 Athens is dominated by the view of the Acropolis site of the Parthenon, one of the most famous classical monuments in the world. The centre of the modern city, particularly chic Kolonaki, has designer boutiques, restaurants and upmarket hotels galore. 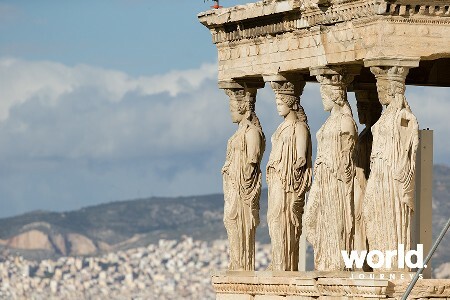 Athens has always exuded a unique charm, its street markets, vine-covered taverns and ancient monuments all adding up to make this special city what it is. 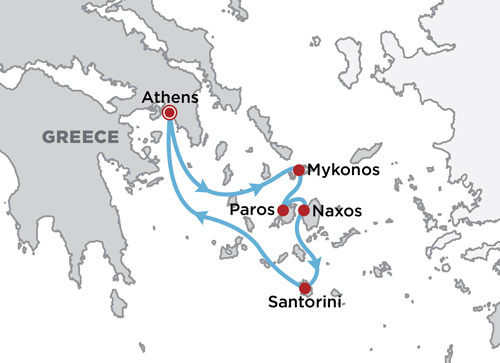 Day 2: Athens > Mykonos You will be collected from your hotel and transferred to Pireaus port for your first class ferry or hydrofoil to Mykonos. On arrival you will be transferred to your hotel. Days 3 & 4: Mykonos You have two days at leisure. The perfect example of cycladic architecture set around a picturesque fishing-village bay, Mykonos has organic whitewashed buildings jumbled into a haphazard maze of narrow alleys and streets. The surrounding bare hills reflect starkly against the bluest of skies and an every deeper azure sea. 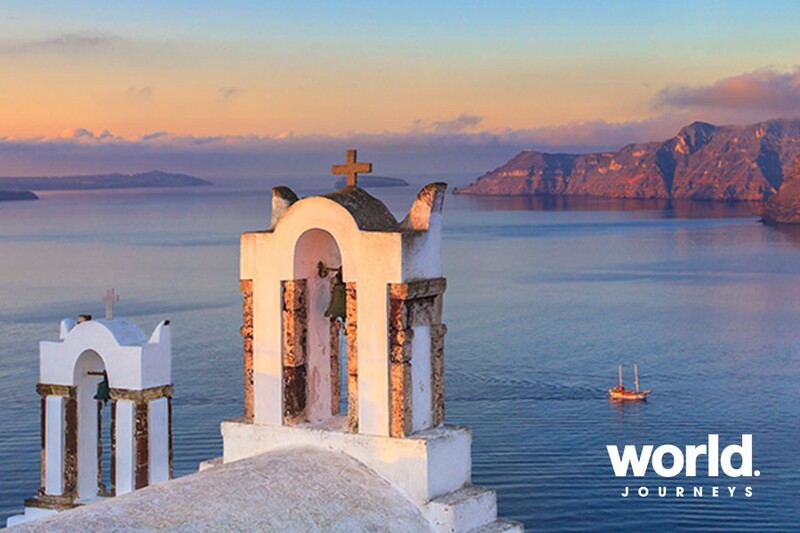 Churches and windmills abound and along with a vigorous nightlife, it is no wonder Mykonos has often been named "the jewel" of the Aegean Sea. Day 5: Mykonos > Paros You will be collected from your hotel and transferred to the port for your first class ferry or hydrofoil to Paros. On arrival you will be transferred to your hotel. Day 6: Paros At leisure today. Paros is known for its exquisite sandy beaches and crystal waters while charming traditional villages of whitewashed houses highlighted with bougainvillea crowd narrow alleys and restaurants are abuzz with life. Day 7: Paros > Naxos You will be collected from your hotel and transferred to the port for your first class ferry or hydrofoil to Naxos. On arrival you will be transferred to your hotel. Day 8: Naxos At leisure on Naxos. Naxos is the largest island in the group and is the mythical home to Bacchus (Dionysus) and Ariadne. Ariadne was the daughter of the cretan king Minos who helped Theseaus slay the Minotaur. Theseus abandoned Ariadne on Naxos and she eventually found solace in the arms of Bacchus. Naxos has always been a magnet for archaeologists, historians, scholars and artists alike drawn by the culture that has flourished here for centuries. Day 9: Naxos > Santorini You will be collected from your hotel and transferred to the port for your first class ferry or hydrofoil to Santorini. On arrival you will be transferred to your hotel. Days 10 & 11: Santorini You have two days at leisure. 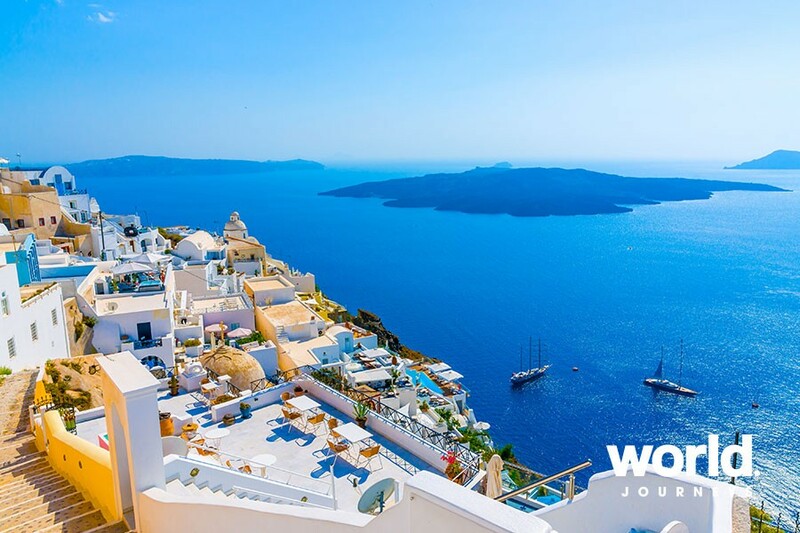 The island faces the Caldera, the famous submerged volcano crater situated in the middle of the water. From the imposing cliffs, one can admire some of the most stunning little villages that seem suspended in the sky. 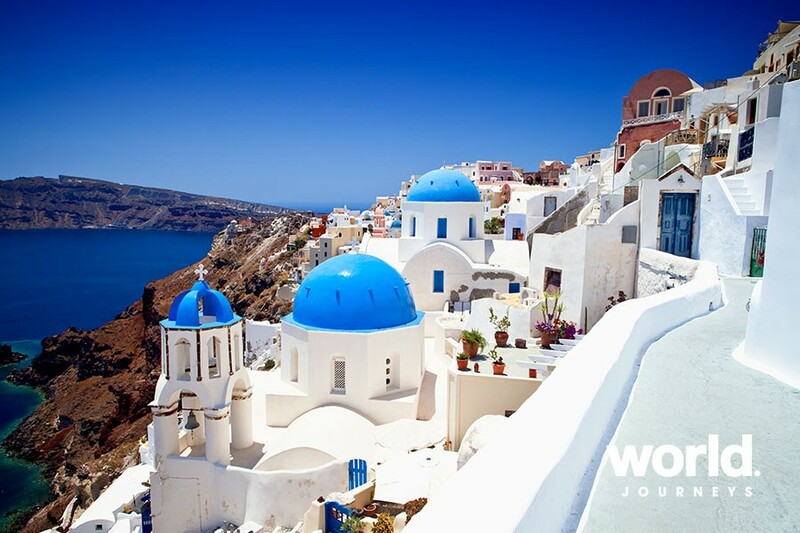 These are made of white typical Cycladic houses with blue painted windows facing the black volcanic rock of the Caldera: an arresting sight. 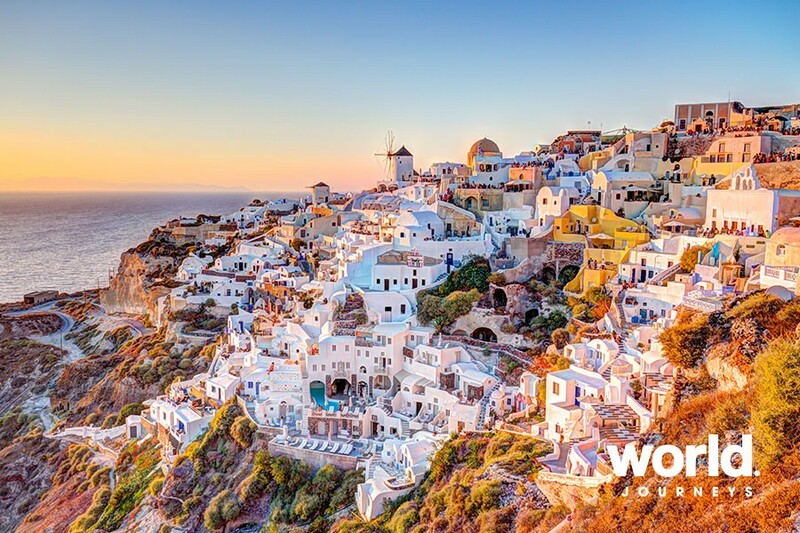 Day 12: Santorini > Athens You will be collected from your hotel and transferred to the port for your first class ferry or hydrofoil back to Pireaus. 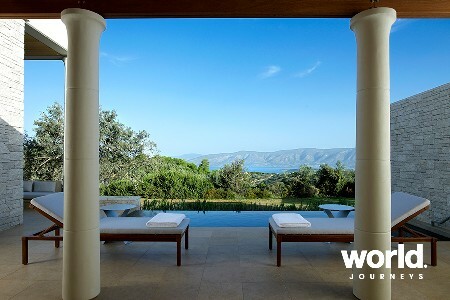 On arrival you will be transferred to your hotel for your final night in Greece. Day 13: Depart Athens Transfer to the airport where arrangements conclude. The order of the islands may vary and please note arrangements may change for bookings very early or very late in the season. 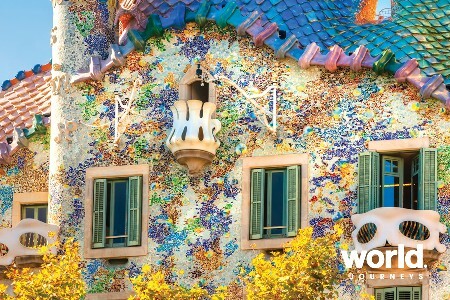 This itinerary is flexible and may be altered or extended as you wish. Please contact us for details.